Transform your Event To The Ultimate Experience! Entertainment for corporate events must be truly unique and memorable! 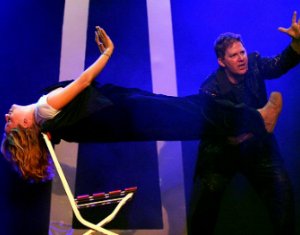 Whether it's a sales meetings with amazing memorable messaging, gala awards banquets, or trade shows - creating massive crowds and leads, there is no better way to achieve this than by utilizing international Illusionist Brian Glow. Brian Glow blends together humor and dazzling magic melding your companies message, theme, logos, products and services into a seamless performance enthralling everyone who witnesses the show. Break The Mold With Brilliant Corporate Event Entertainment! BRIAN GLOW is an internationally renowned illusionist and has been creating excitement and laughter for his fans in over 40 countries because he speaks the international language of FUN ! 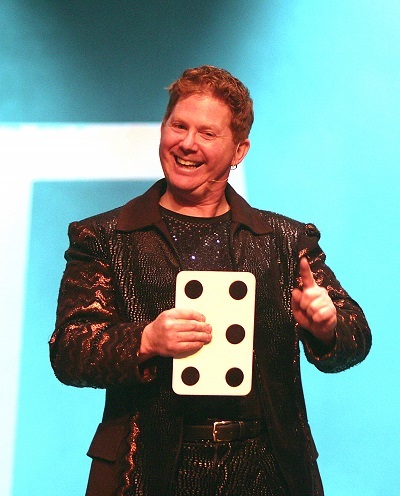 Brian has performed over 8,000 corporate events worldwide, and strives to bring his special blend of audience participation, team building exercises and awe-inspiring comedic magic to every company meeting, corporate event and employee gathering. Fortune 500 companies around the world as well as local businesses have utilized magician Brian Glow's and extraordinary illusions, melding the client's corporate sales message into powerful presentations for events such as: conventions, sales meetings, trade shows, business conferences, product launches, banquets any other events needing quality exciting and memorable entertainment! Customized shows allow for your message, service, logo or goals to be seamlessly integrated into the event. Have your content and creations take to the stage in front of your audience to enhance their impact! These custom shows are available within a very diverse selection of entertainment solutions. From team-building and workshops to conventions and product launches (and much, much more!) Brian has the experience and the professional experience to deliver quality entertainment for corporate events, that will not soon be forgotten. Many events for a company fall flat because there is a lack of refreshing and original corporate party entertainment. Brian Glow's exhibition is top notch as proven by many years of experience as a corporate event entertainer and by the positive feedback he's gotten from his clients. When you have Magician, Brian Glow as your choice of entertainment for your events, we guarantee to enhance the event with laugh-out-loud comedy magic and respectful audience participation where your attendees become the heroes! A spectacular, memorable, customized show for all of your marketing events and corporate party entertainment. Decades of providing corporate event entertainment in over 40 countries has made Winnipeg magician Brian Glow an expert on how to please your audience! 100% guarantee that your crowd will not only be amazed by what Brian Glow brings to the event but will also remember the message you want them to have!